Finding a car and making a reservation at Andy's Car Rental in Grand Cayman is easy with our simple online database tool. Follow these five quick steps to find the best car rental in Cayman Island . 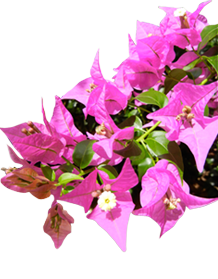 First, choose the location and dates that you wish to hire a Grand Cayman car rental. This includes your pick up and drop off times, as well as your preferred vehicle. Next we offer a selection of different car types, including compact cars, convertibles and SUVs, in a list including pictures. After you select a choice, the next screen gives you an immediate rate quote based on your given information. Additional coverage can also be added on this screen. You can either go back to the previous menu for more choices at Andy's car rentals in Cayman , or reserve the vehicle. You will be asked for your personal information including name, address and phone number, as well as flight times and driver’s license information. Including all of the required information allows us to give you the best service for a car rental in Grand Cayman Island . Finalize your request in the last step and we'll have your vehicle waiting for you!